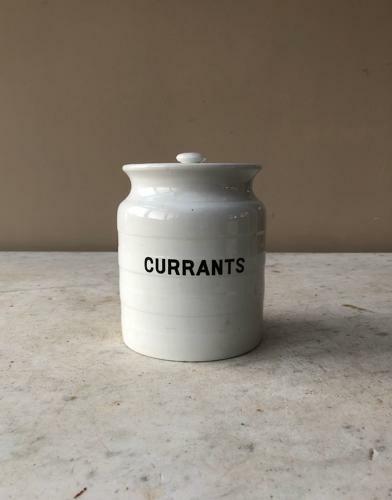 Early 20th Century White Banded Kitchen Storage Jar for CURRANTS with its Original Lid. No damage. Good and clean.